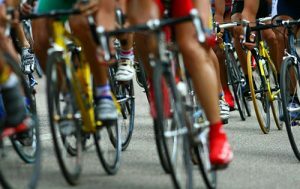 USADA announced today that Scot Harvey, of Glendora, Calif., an athlete in the sport of cycling, has accepted a four-year sanction for an anti-doping rule violation related to his refusal to provide a sample. Harvey, 47, refused to provide a sample as requested by a doping control officer during an out-of-competition test on March 20, 2017. Evading sample collection, or refusing or failing to submit to sample collection, without compelling justification is a doping violation under the USADA Protocol for Olympic and Paralympic Movement Testing, the International Cycling Federation Anti-Doping Rules and the United States Olympic Committee National Anti-Doping Policies, all of which have adopted the World Anti-Doping Code and the World Anti-Doping Agency Prohibited List. Harvey’s four-year period of ineligibility began on March 20, 2017, the date he refused to provide a sample. In addition, Harvey has been disqualified from all competitive results obtained on and subsequent to March 20, 2017, including forfeiture of any medals, points and prizes.